Are you ready for some football? Earlier this week, Dunkin’ Donuts debuted the first ad on a professional broadcast created with Vine on ESPN’s Monday Night Countdown. Shown as a billboard ad during Monday Night Countdown, the visual was actually a Vine enacting the upcoming coin toss during Monday Night Football with Dunkin’ Donuts hot and iced coffee, plus a festively striped latte “referee”. The Vine billboard ad was designed to promote a weekly #DunkinReplay Vine that would appear on Dunkin’ Donuts’ social media channels during Monday Night Football. Throughout the 16-game season, four unique Vine billboard ads will be shown. In addition, each week during Monday Night Football, a team from Dunkin’ Donuts and agency partner Hill Holliday will be on standby to re-create a marquee play from the first half of the game on Vine. 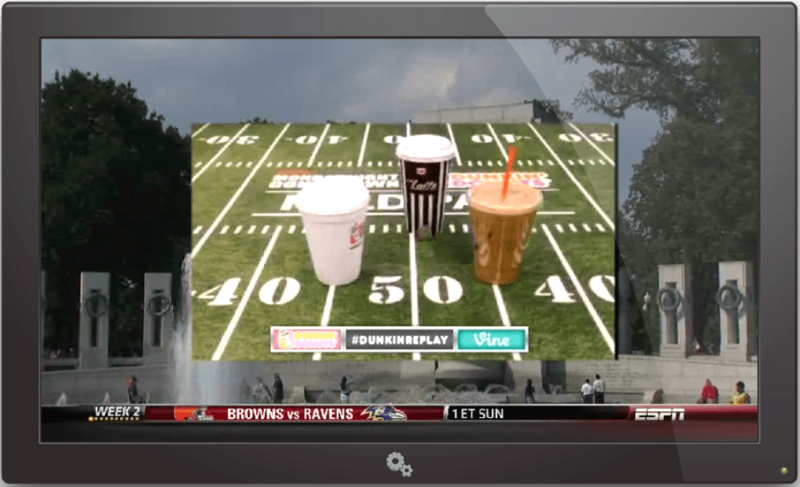 The #DunkinReplay Vine will feature Dunkin’ menu items,including coffee, donuts, munchkins, and more. The Vine will also be shared across Twitter and is meant to be a fun way for Dunkin’ to join the Monday Night Football conversation as the game is happening. As Dunkin’ Donuts enters its third year integration with ESPN’s Monday Night Countdown, this campaign reflects the brand’s continued interest in maximizing the second screen experience in a way that is engaging, relevant, and in line with the Dunkin’ brand. Let the frienDDly rivalry between hot and iced coffee start brewing! 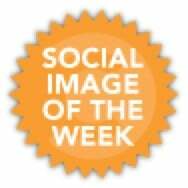 Editor’s Note: Jessica Gioglio is the social media manager for Dunkin’ Donuts.